Description: The user performs a quick handseal to manipulate the earth around them, creating a barrier which protects them from incoming attacks. The user infuses the earth around them with suiton and causes mud and rock to rise up in a wall or dome depending on the user’s capabilities. This dome first manifests at its base strength as a simple mud wall in its early form and by C-level can be manifested in a half dome, followed by a full dome at B-level and above. This defensive technique increases in strength with the user being able to block two jutsu of its level, four of any levels below, but is pierced by any above its level. Due to the mixture of earth and mud/suiton, unless the mud is solidified into rock by the user it does not suffer doton’s normal weakness to raiton. Description: The user manipulates the earth using a combination of doton and suiton reaching out from the ground with hands made of mud in order to restrain, harden into rock, and crush their target. The amount of mud the user can generate for this technique grows as they get stronger and has no weakness to raiton until the mud is hardened into rock. At the initial level the user is only able to create two small hands which can grab up to ankle level and can be broken by an equal level jutsu or by the target having strength of one level higher than this technique. At a C-rank level the user is able to create up to four hands and reach up to waist-level. At B-rank the user is able to create a large hand capable of completely wrapping a normal sized person’s torso in its grasp up to their shoulders and can extend out from its initial location up to 15 feet at a rate of 5 ft/s. At A-rank the user is able to create enough mud for two large hands and can extend as far as 30 feet from its original location at a rate of 10 ft/s. At S-rank the user is able to create a large wave of mud up to 20 feet wide and 30 feet high, which can travel up to 30 ft/s for up to 150 feet. Each rank has a chakra cost starting at 10 chakra to use at D-level increasing by 10 chakra per level up to S-level, which costs 50. Maintaining this technique can be taxing, costing the user an additional 3 chakra per post for D-level, and 6, 9, 12, and 15 respectively for each following rank per post. Description: After the required handseals, the user can sink into the ground up to 10 feet deep and travel through the earth. After the jutsu is used, the user can freely move through the earth up to 15 feet from the point where they entered the ground. The user must emerge again either the same post or the next one. The opponent can sense the user's location through normal chakra sensing, though it takes a sensor to pinpoint the exact location. The cooldown is one post after the technique is used. Description: The user swings their sword in a single, large, crescent moon-shaped arc, which occurs with such ferocious velocity that the technique can be employed in situations where only a very limited time to react is available. The swing can be used to counter attacks from multiple opponents simultaneously; it only covers the area in front of the user. This attack can only be used to deflect C rank and below close range Bukijutsu attacks and taijutsu attacks. This technique cannot deflect any close range C rank and above Bukijutsu and Taijutsu element attacks. Description: The term Iaidō refers to a specific style of kenjutsu that is concerned with the smooth, controlled movements of drawing the sword from its scabbard, striking or cutting an opponent, removing blood from the blade, and then re-placing the sword in the scabbard. The force of the slice is strong enough to sever limbs. Description: The kenjutsu user channels chakra from their arms into their blade which creates a temporary aura around the when which extends a max of six inches from the blade. The user then strikes to rend one of their opponents tendons. Āmurendo: The user targets either the left or right arm of their opponent and attacks for their rotator cuff or their brachialis. If the blade comes within 6 inches of striking their targeted tendon their opponent's arm is paralyzed for two posts. If the actual blade of the weapon is able to strike their target tendon which has inadequate protection and the user's strength is at least a rank above their target's endurance it could physically sever the tendon disabling the use of their arm until it is medically tended to. Ashirendo: The user targets one of their opponents legs, striking at one of their vastus, patellar, or calcaneal tendons. If the blade comes within 6 inches of striking their targeted tendon their opponent's leg is paralyzed for two posts. If the blade is able to strike an inadequately armored location and their strength is at least one rank higher than their opponent's endurance they can sever the tendon, disabling it until it is medically tended to. Description: After the needed handseals the user will transfer chakra into the ground, turning the earth under into mud. The user will then form the mud into a huge dragon that can be sent for an attack. The dragon is 15 ft long and 3 ft wide, and moves at 30 ft/s, with enough force to dent steel and pierce through iron. The dragon can break bones. If used in an area with mud already the dragon's size increases to 30 ft it's width goes to 6 ft, and the jutsus strength is increased by 10% able to punch through steel. A C rank Raiton technique can break apart the dragon. If used with Earth Release: Earth Dragon Projectile the dragon's size increases to 50 ft and 15 ft wide, and the jutsu is increased by 20%, it can punch through reinforced steel easily. A B rank Raiton technique or higher can dissipate it if used with earth dragon projectile. The dragon can change direction up to three times. 6 post cooldown. 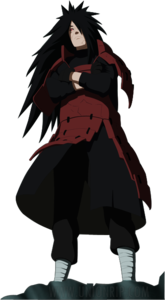 From what I saw E ranks shouldn't be listed here, so I will just list the two I will be taking after approval is all done and I make my official Jutsu List post. Unless I should add them to this list too. Name: Renkinjutsu: Haji-te : The speed doesn’t make sense. Example if it can extend up to 15ft then why is the speed 30 ft. per second. That would mean that it would only take your technique half a second to reach its max extension for B rank. For every 5 ft extension you should make it 1ft/ s. So that at 15ft it will take three seconds. It will be fast enough. And At S rank you didn’t give me your range, you just told me how massive the hands get. Also again, 50ft/ s would be way to fast. Please make the corrections. Name: Doton: Dochuu Eigyo: Underground submarine is a technique I’ve been meaning to work on. Ok this technique will have a two post cool down. You will only be able to go a maximum of 15ft in radius, 10 ft deep. If you pass this radius you will be forced to resurface. Name: Cloud-Style Crescent Moon Beheading: Im creating a stamina system but until that is set in stone keep note that everything will cost chakra. Name: Iaidō (居合道 Way of Iai): It’s a C rank technique so regardless of personal rank I want it to remain at C rank speed. That is fast enough. Name: Earth Style: Earth Dragon Jutsu: The numbers are off by a lot in this technique. When it comes to length split everything in half. Then fix the range section on this technique. As far as width split in half as well, and the speed, consider what I had mentioned before with your second technique. I’ll recheck when you’re done. Okay, certainly. The speeds/length definitely didn't make sense for Haji-te. I made changes that should be more in line with what you recommended for Haji-te and Earth Dragon. I also removed some parts of the Kenjutsu techniques to reflect your comments. Are they okay now? If the numbers turn out good for Earth Dragon and the slightly modified wording for Iaido and Cloud-Style Crescent Moon are good, are you able to change the NM Admin postings in the Canon Jutsu list to reflect? Those ones I took from the Legacy Encyclopedia jutsu lists. Bumping. Jutsu changes were made but still need review pllleeeaaaassseee.